This quilt was quite the labor of love, taking two years and five months to complete. Confidentially: most of that time it was in a sewing bag waiting for the binding to be handsewn, but it was patient and understanding, and is now quite lovely. 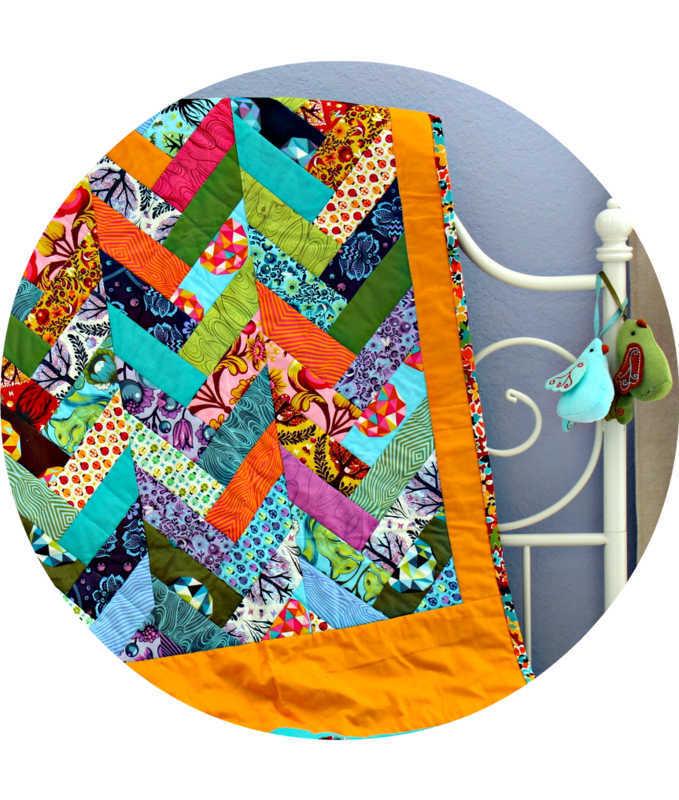 This quilt is crafted from a jelly roll of Tula Pink's Birds and Bees cotton quilting fabrics, with coordinating Kona cotton solids blended in. Bordering the chevron-inspired zigs and zags of color are a few grounding solids. The binding is a delightful complementary red floral and the backside is mostly apple green Kona cotton, with a strip of in Ikea print for interest. The stitching on the quilt is done 'in the ditch' following the patterns in the quilt. 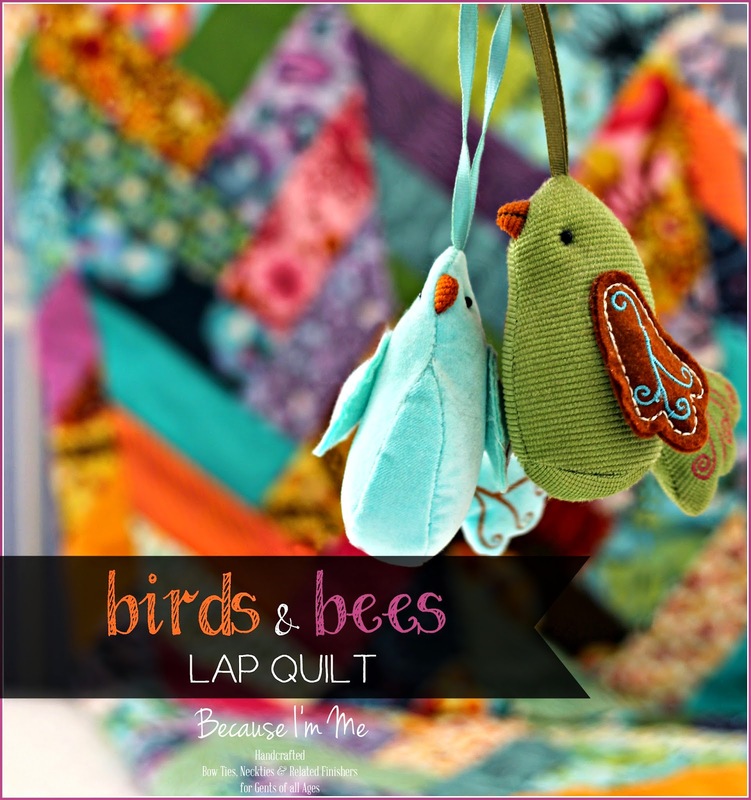 Birds & Bees is now available at Sew, Sew Much More. Beautiful! I wish I had the patience to do large projects like that! Absolutely gorgeous. The colors are amazing.